This entry was posted in Brandon Cash and tagged 1950's, Brown Vs. Board of Education, Civil Rights Movement, Eisenhower, Faubus, Little Rock Nine, Louis Armstrong by Brandon Cash. Bookmark the permalink. I’m glad you followed up on this episode as related in Monson’s book (which you should probably mention). There’s a clip from Ken Burns’s jazz (which you could embed) showing Armstrong in blackface at the Zulu parade and depicting him playing what many saw as an “Uncle Tom” role. 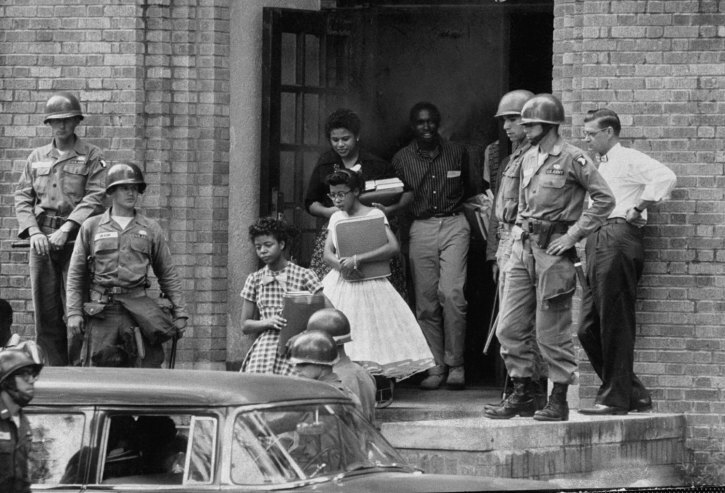 The documentary makes painfully clear why it was so shocking when Armstrong protested the treatment of the Little Rock Nine, but also draws attention to the complexity and depth of Armstrong’s character. Clearly, he found a way to be many things to many people, and we’ll likely never know whether he was simultaneously true to himself.